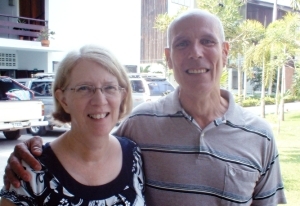 Colleen and her husband Keith are church-planting missionaries working among the Sgaw Karen people in Thailand. They have served with WEC International for more than 30 years. Colleen has a particular interest in second language acquisition and English teaching. See her page on language learning for some stuff she wants to share with you. We not only make a first impression on people, but also leave a last impression after every encounter. May those impressions be ones that honor God in whose image we are made. May we be a blessing to those whose lives we are privileged to touch in some way.